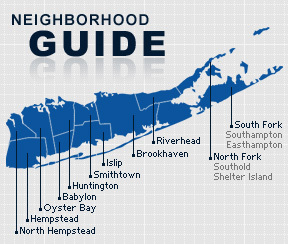 Amagansett is a CDP and hamlet within the town of East Hampton. It was settled by Dutch colonists between 1680 and 1690, who were shortly joined by English families. The hamlet’s name is derived from a Montaukett word meaning “place of good water.” Early industries on which Amagansett survived include whaling and shoemaking, but its pristine environment and coastal location have made it a popular area for year-round and summer residencies amongst wealthy individuals in recent decades. Notable people who have lived in Amagansett include Paul McCartney, Jerry Seinfeld, Suzanne Vega, Matthew Broderick, and Gwyneth Paltrow. During World War II, Amagansett was the landing site for an attempted series of Nazi attacks on sites crucial to the American economy. In 1942, Operation Pastorius sent two groups of German spies who had previously lived in the US back to the country on submarines which were filled with explosives to be used in the attacks. The mission was compromised when John Cullen, an unarmed Coast Guardsman, discovered one of the Germans in the dunes of the beach; he was bribed to keep silent on the matter, but promptly reported it upon returning to his station. The operation fell into further disarray and ultimate failure when two of the eight Germans attempted to defect to the US. As of the 2010 census, Amagansett had a population of 1,165, with 513 households and an average of about two persons per home. The median household income was $71,650 with males making $52,750 and females $36,964.